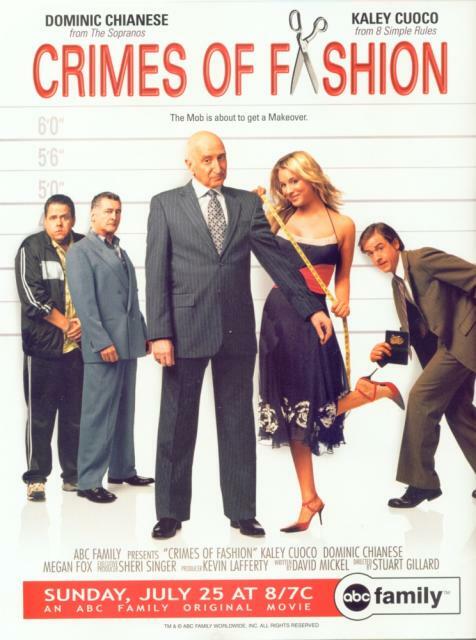 "Crimes of Fashion" stars, Megan Fox, pre-nose job, as a phony, mean, stuck up fashionista. So yea, she was basically playing herself, then. Fox's character, Candace, terrorizes frumpy, but nice rival, Brooke, while they attend fashion college. Candace pretends she is the best designer at the college, but is not what she appears. While Brooke finds out her grandfather is in the mob and wants her to take over the family business. This movie was somewhat entertaining. It made me laugh for all the wrong reasons.